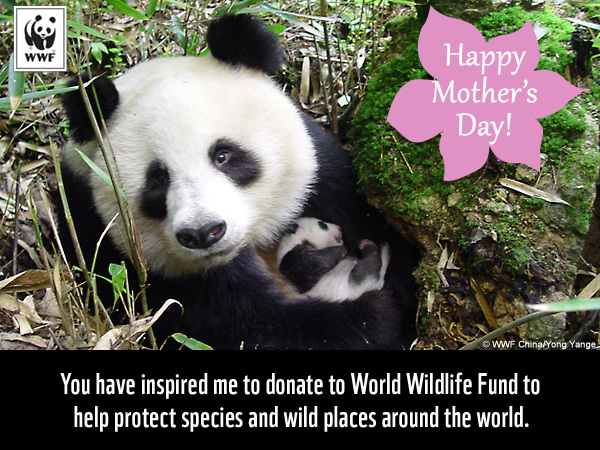 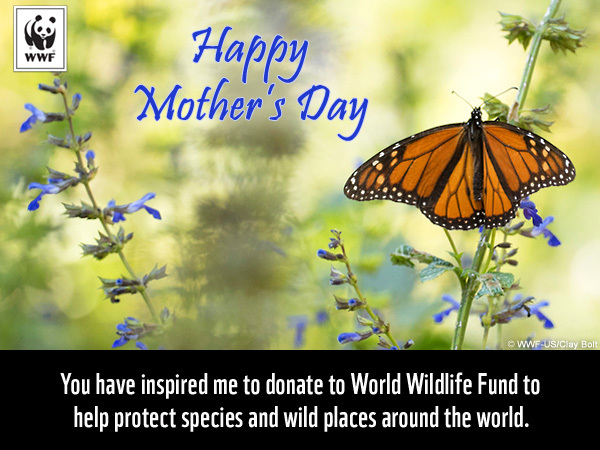 This Mother's Day, show Mom that you care by helping protect wildlife and nature! 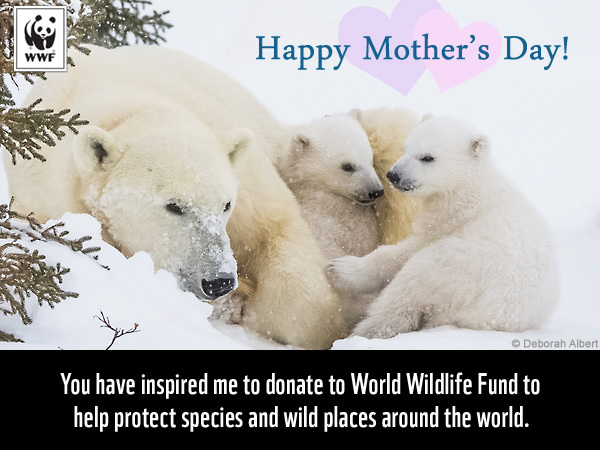 Make a donation of any amount to support WWF's global conservation efforts, and send an ecard to your mother or grandmother to share your commitment! 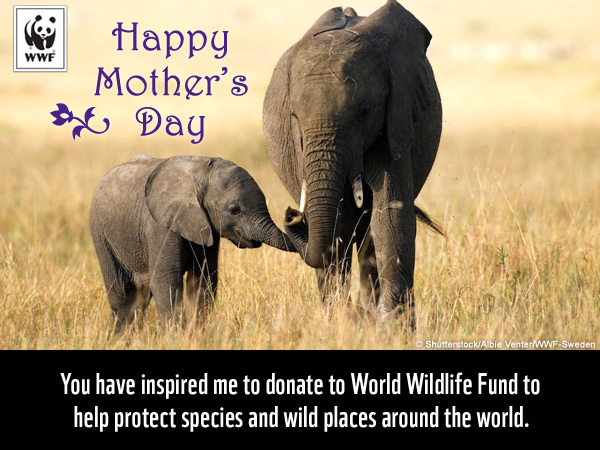 Mom will be delighted to know that your donation helps elephants, polar bears, and other species and places around the world. 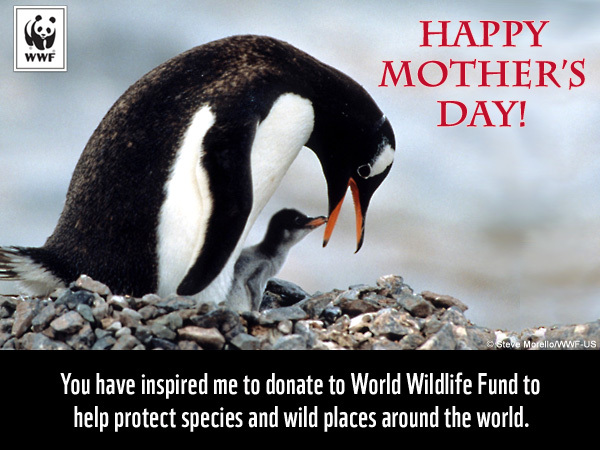 Donate to send this ecard or another for Mother's Day! 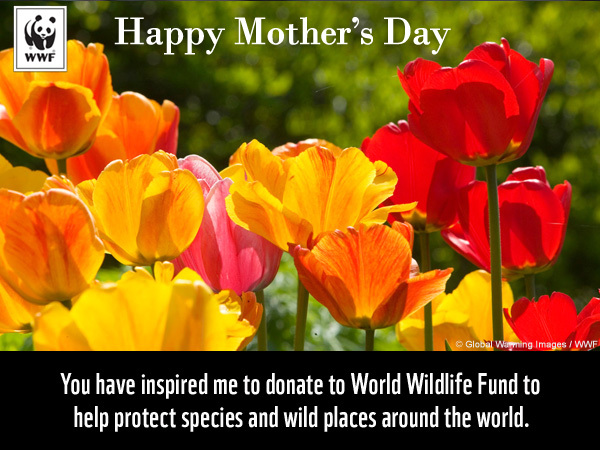 Yes, I would like to send an ecard to announce my gift. 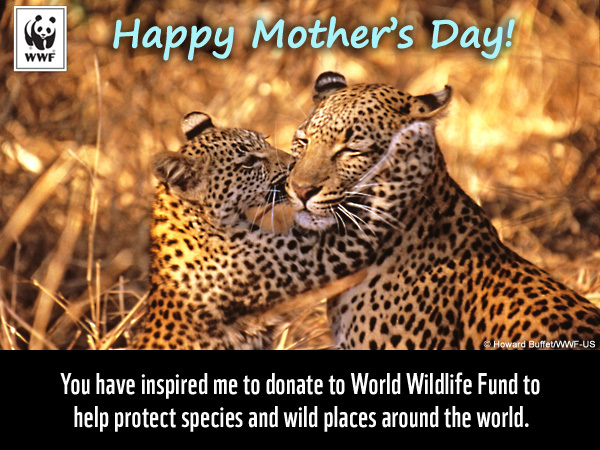 Underneath the photo, all ecards say: "You have inspired me to donate to World Wildlife Fund to help protect species and wild places around the world."